Requirements for titanium dioxide in foodstuffs.High purity titanium dioxide can be used in the food industry. However, many countries require purity of more than 99%. Because titanium dioxide does not dissolve in water, acid, dilute sulfuric acid and organic solvents, it hardly reacts with food ingredients. China's GB2760 allows titanium dioxide to be used in sugar coating, beverages, jelly, salad dressing, flavoring and confectionery, etc. The amount of titanium dioxide varies according to different types of products.In jelly, it can be added at an upper limit of 1%. In salad dressing, it can be added at an upper limit of 05%. The us food and drug administration (FDA) has allowed titanium dioxide application in the food when a request use no more than 1% of the total. 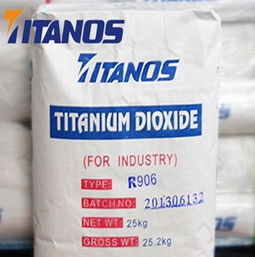 The silica and alumina can be used as titanium dioxide cosolvent ", but no more than 2%. In the u.s.titanium dioxide used in the food nutrients and candy when the flat top 1% in the fine clothes, chewing gum, starchy finalize the design product and the quantity of dry baking products range from 0.02 ~ 1% 6 and the amount of snacks products in range from 0.05 ~ 04%. India for titanium dioxide in mouth flavor and essence of bubble amount can't more than 1% in the amount of fruit drinks do not more than 100 mg/kg of titanium dioxide in Japanese food toner listed without limit request special products unless there are special provisions. The titanium dioxide as food colorants, also established some relevant rules.